Mysteries in Time is a brand new history subscription box aimed at 7-11 year olds, so who better to try it out other than my very own 8yr old, Miss M. The box is delivered in a time machine style box which looks inviting and we couldn’t wait to step inside! This month’s box is all about Ancient Egypt and is packed full of educational facts, activities and fun. After having sat and completed this box with my daughter I can honestly say she found the whole thing fun and interesting, not really thinking that she was learning at the same time which is really what kids activities should all be about. 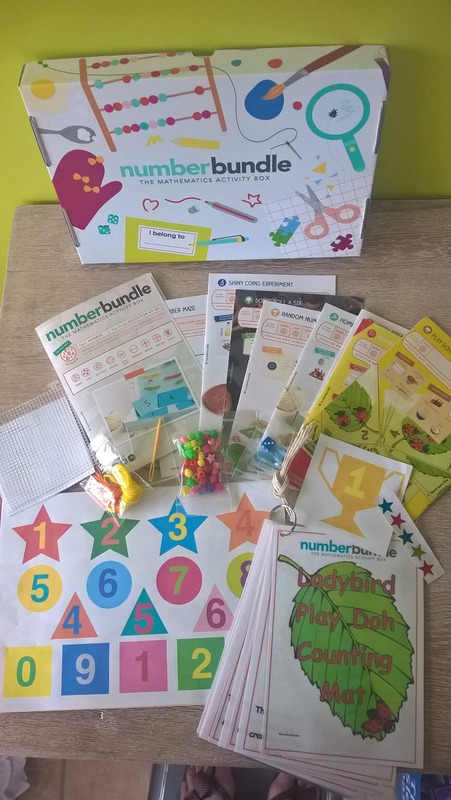 The box consists of a booklet full of facts and activities, colouring sheets, a world map, stickers, a book to read, bookmarks, a bag of craft goodies, a history related gift and instruction guide. We had a look through the booklet together, learning lots of facts and pieces of information about the Egyptians. It is set out in bitesize pieces so there isn’t too much reading and with lots of pictures it keeps children interested. 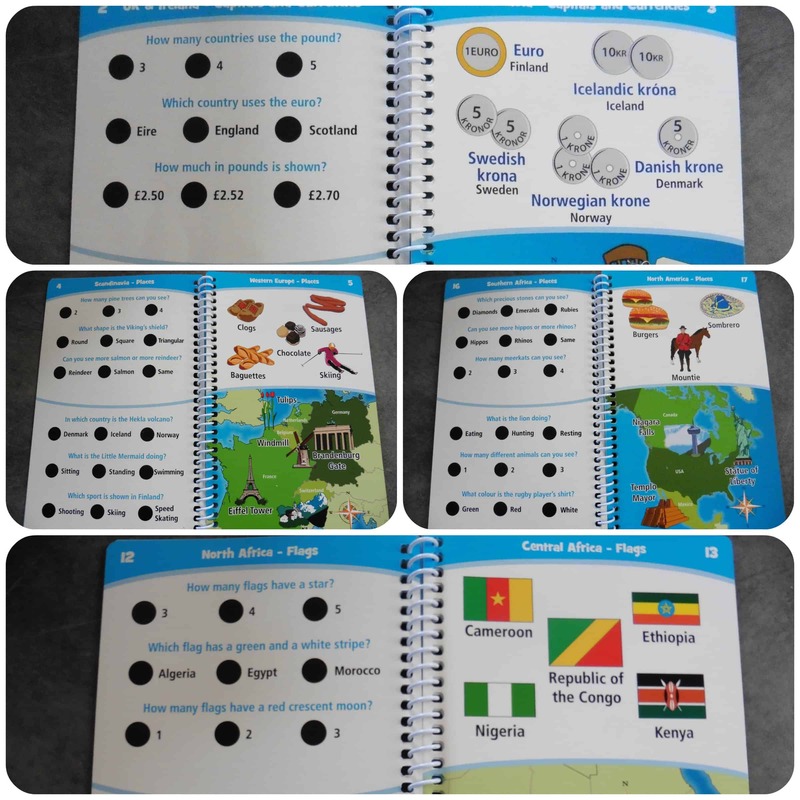 The back few pages contain activities such as a wordsearch, spot the difference, anagrams, quiz, maze and a rather fun hieroglyphs quiz to work out words using a hieroglyphs chart. Miss M was fascinated by it all and without any hesitation got started on the puzzles at the back. She also enjoyed the colouring sheets and reading the book which she started downstairs and took up to bed with her! A world map is included in your first box, which is a high quality poster to put up on the wall. Underneath the map is a timeline and each box contains a sticker related to the period of time the box covers, that you can place upon the line. Miss M was really drawn to the map and couldn’t wait to spot Egypt on it. She then looked for England and started comparing the size of it to other countries. The size of Russia really surprised her. It was really lovely listening to her comment on places on the map and show an interest in something on her own accord. Our special gift in this box was a golden canopic jar, which I have to say does look rather impressive. Miss M was enthralled with her gift and has had much pleasure in standing the coloured pencils within the jar while she did her colouring sheet and now the pot takes pride of place in her bedroom! The favourite activity for Miss M was the clay craft. Within the craft bag is a sachet of air drying clay, paints and gem stickers, the girl was in art heaven! She couldn’t wait to get her fingers into the clay and make some egyptian amulets. She took inspiration from the booklet but also got a bit creative and made her own heart shaped one too. I have to say the clay went a lot further than we initially thought it would and the paints were generous too, with a good variety of colours meaning we had plenty of materials to get creative with. We had to wait a day for the clay to fully dry, but then Miss M happily sat painting her creations. She is very pleased with them and I think they look great too! Overall we’ve had a lot of fun with our Mysteries in Time box, both learning new things and carrying out the activities. It was nice to spend quality time with my daughter and great to see her engaged in the activities. The box is of an excellent quality, all the content is well produced and set out and the craft materials are of a good standard. 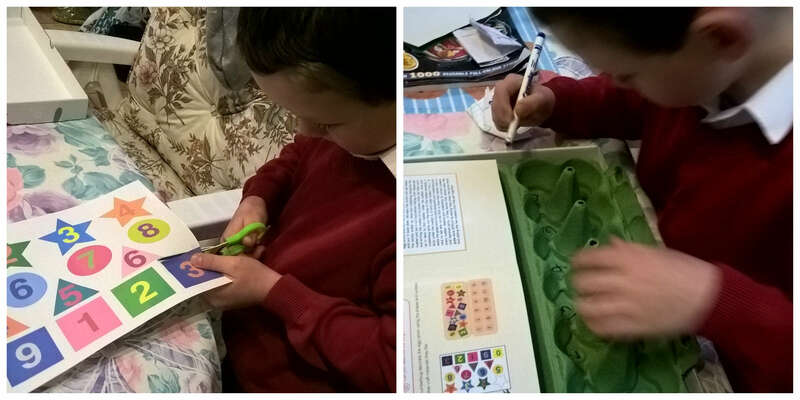 It’s always lovely when a child is keen to do something with educational value, although they see it as a box of fun! Why not pop over to the Mysteries in Time website and find out how to subscribe, a perfect activity to keep the children occupied over the Summer! 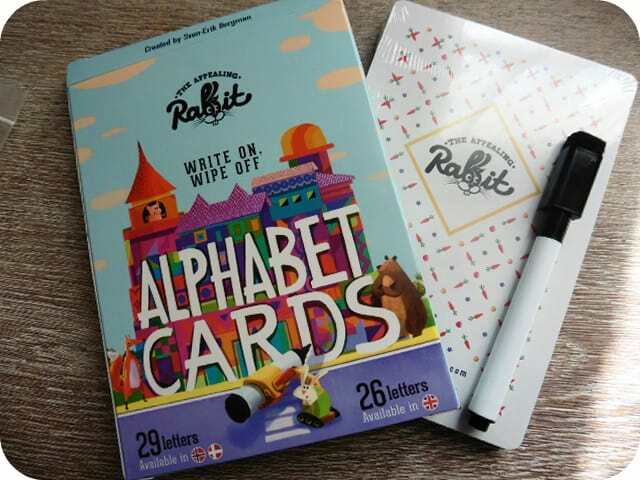 Alphabet Cards from The Appealing Rabbit are a rather cute, large size deck of cards designed to assist your children to practice their letter writing. The pack comes in a box which includes a black wipeable pen with eraser on the end. The set contains all 26 letters of the English alphabet plus a couple of extra for other languages. Be aware that the letters included are all capital letters so probably best for a slightly older child than one who is only just learning their letters. 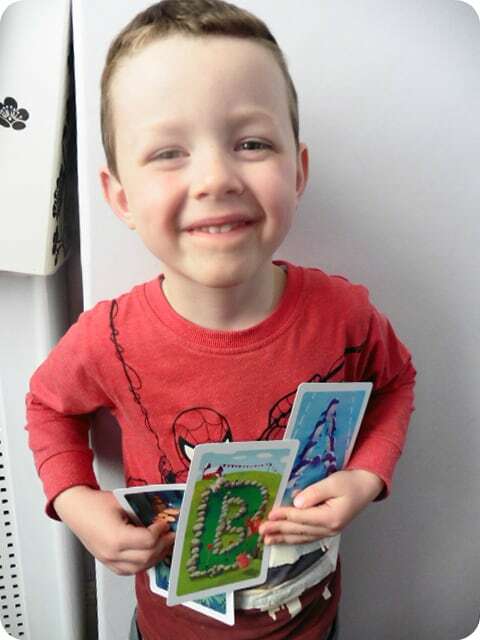 Mister B is 4 yrs old and has known his small letters for a while now. He recognises all his capital letters but hasn’t had much practice writing them other than those in his name so this was a good opportunity for him to get used to them. 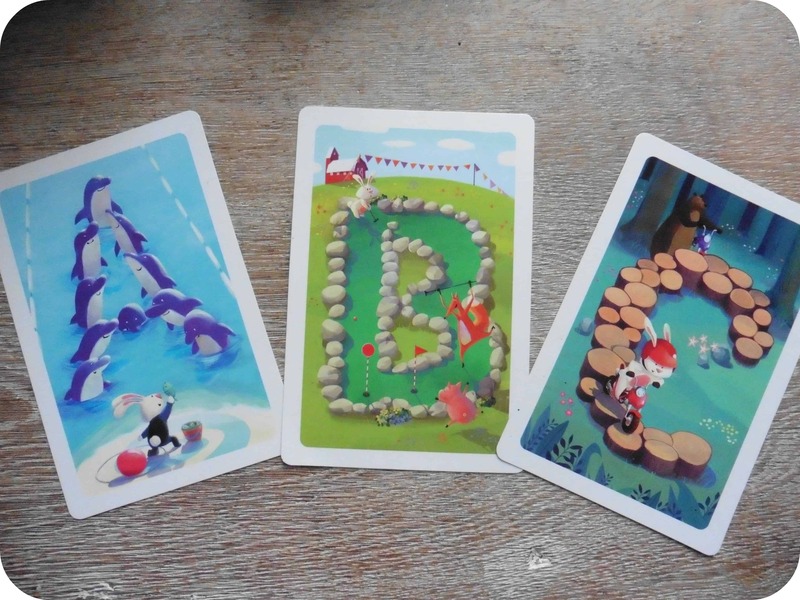 The Alphabet Cards are glossy and fully wipeable from pen marks making them durable and a bit tougher than normal cards. What I really love about them though is the illustrations. Such cute, hand drawn designs, really different and unique from anything else I’ve seen. 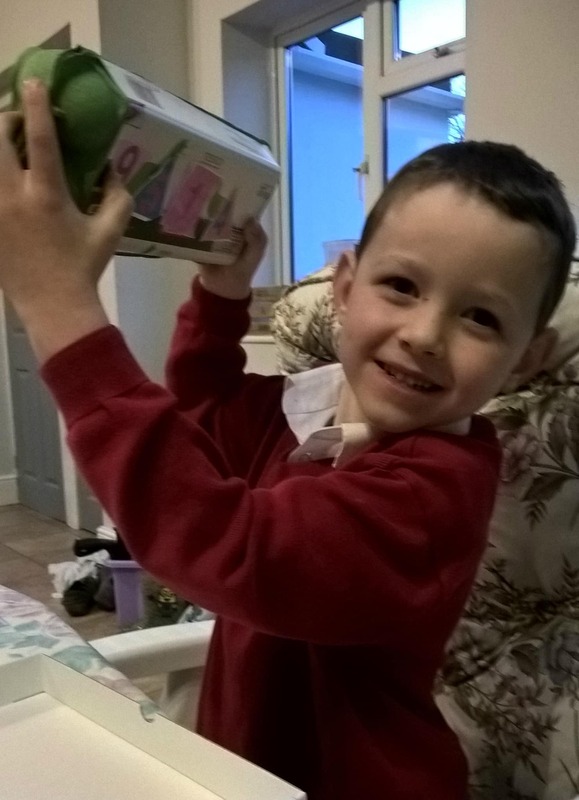 They also give you talking points to have with children, such as what objects they can see in the pictures, which always goes off on a tangent with Mister B and he finds plenty to chat about once given a starting point. 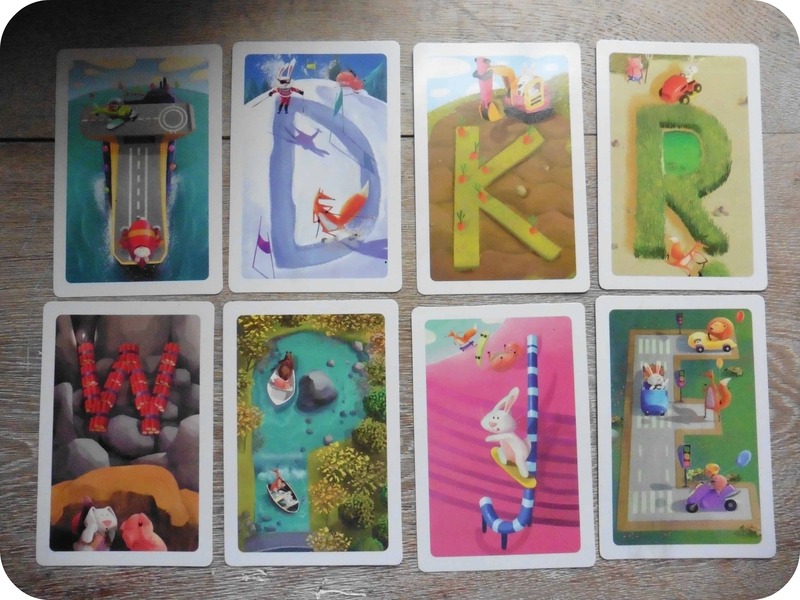 These beautifully designed cards are an interactive way for children to learn their letters. You can even play a game with them and there is a score card to mark points. If your child completes a letter neatly they get a point, if not you get the point. Obviously they want to win, so it encourages them to try hard. This is a cute set that is handy to carry around and play when travelling and either in or out of the house. All reviews are my own and my family’s opinions and we received a pack in order to write the review. 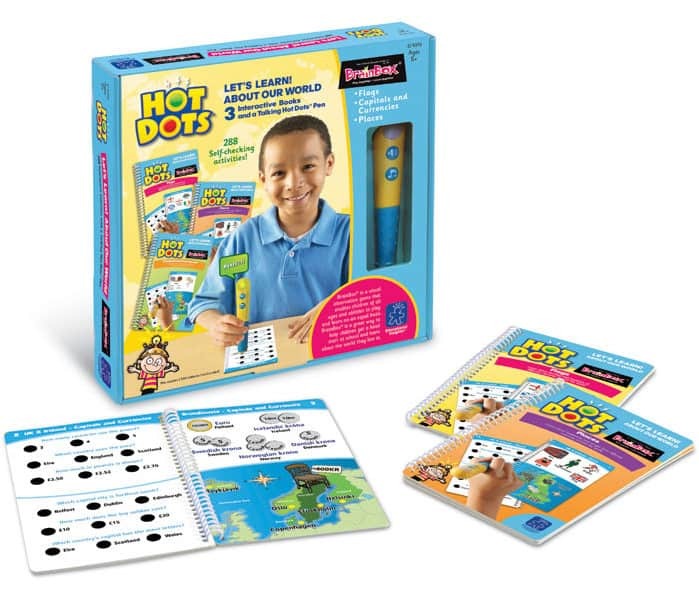 Hot Dots® BrainBox® Let’s Learn! About Our World is a great way for children to learn about other countries using an interactive pen and books that they can work through independently. Miss M who is 7, often asks inquisitive questions about countries, such as “What flag is that?” or “What country is this in?”, so I knew she would enjoy learning from this interactive experience that is both fun and educational and can also be done independently. The books are of a great quality, having highly laminated thick pages that easily turn and sit flat due to their spiral binding at the edge. All pages are brightly coloured with plenty to look at and help maintain interest. I think the books have been well thought out giving children a great insight into other countries. I particularly like the “Places” book which teaches the children about famous landmarks that belong to each country as well as typical animals, foods and items that come from each one. It really is a fun little book that will build a good cultural knowledge in children without them realising that they are learning. Although Miss M could sit working through these books herself, it did encourage her to ask me questions about things and gave us talking points which was really nice and showed she was genuinely interested in what she was learning. Due to the compact size of this set, it is not only ideal to do at home, but great for car journeys and keeping children occupied out and about. 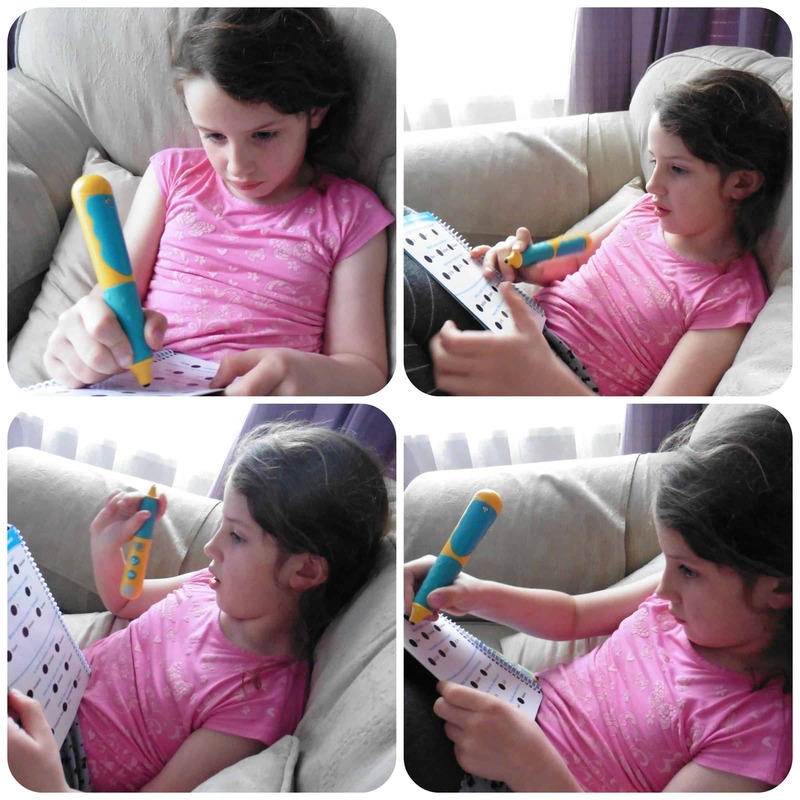 Miss M’s really enjoyed the Hot Dots® BrainBox® Let’s Learn! About Our World set and it is something she has done again and again, sometimes remembering facts, and other times having to think what the answer might me. There is a lot of information to take in, therefore these books will last and can be looked at many times. A great value learning resource that’s both fun and educational. We love Hot Dots! 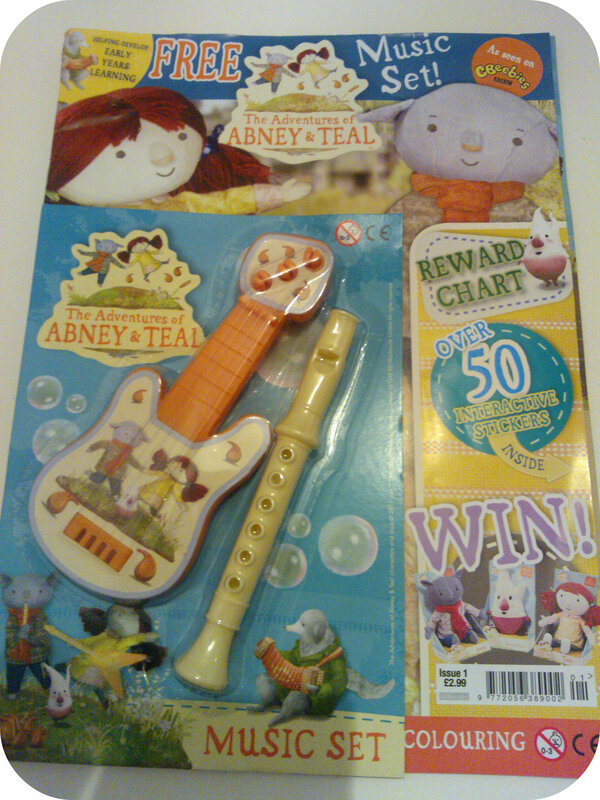 Abney and Teal is one of the hit tv show on Cbeebies. My two both watch it which kind of surprises me as I’ve never really taken too much notice of it myself although if they like it, then it’s the sort of programme I’m happy for them to watch. It seems to have a calm nature but one that keeps them intrigued hence why I was happy to review the new Abney and Teal magazine. First impressions where that it had a winning musical instrument set on the front – something my two loved! 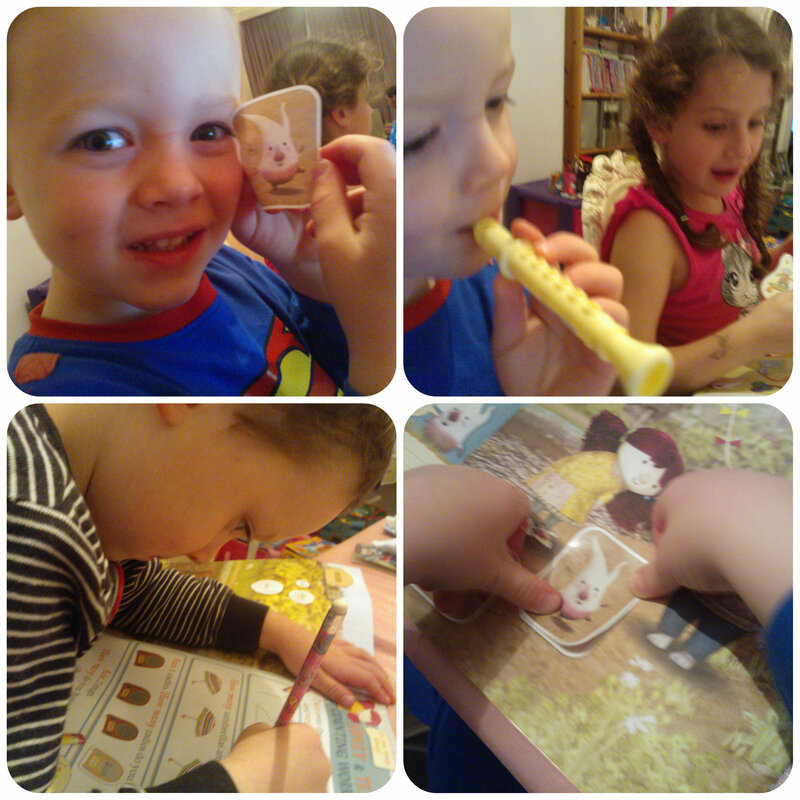 Although I’m sure I’m not the only parent to say that the recorder sounded like a whistle that my little boy decided to repeatedly blow on for days on end – not that I’m complaining – he obviously enjoyed it showing that the magazine was a hit with him. 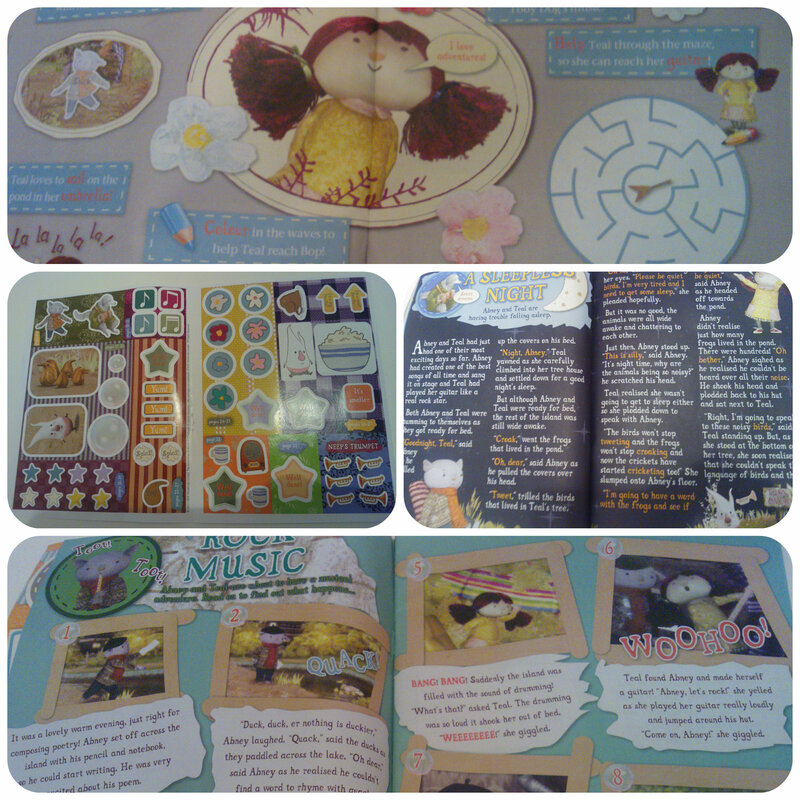 I next looked inside the magazine and was pleasantly surprised by the quality of the pages. Either filled with stories or worthwhile activities that kept my just turned 4yrs old Mister B thoroughly entertained and wanting for more. 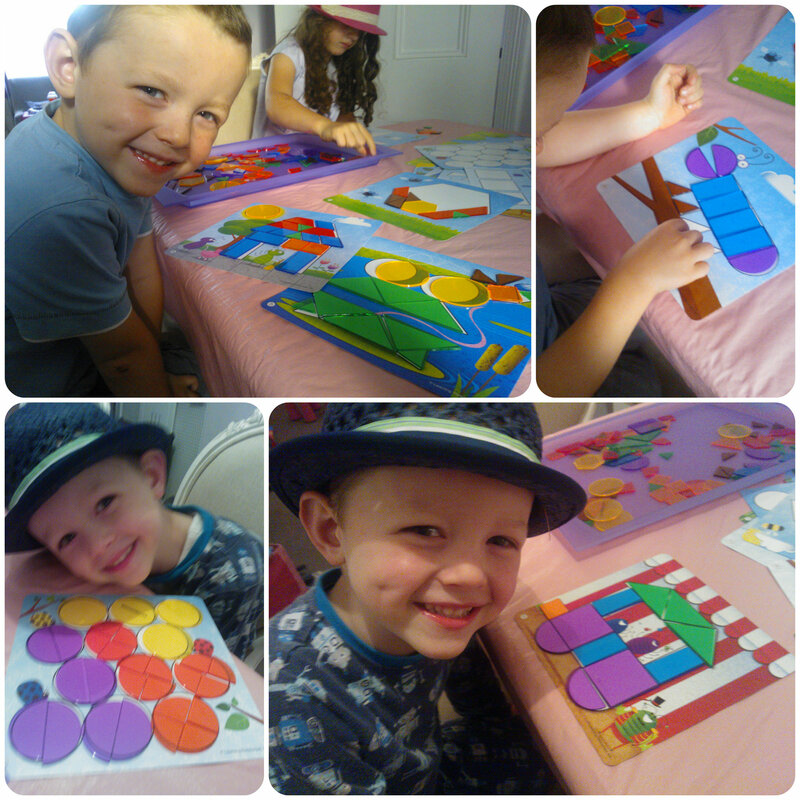 From adding stickers to practising letters, counting objects or making his way through a maze, Mister B didn’t want to stop. He knew all the characters and immediately declared his favourite as Toby dog. He was totally familiar with the neeps and the poc pocs – obviously I haven’t been watching it enough lately! This magazine totally gripped my newly 4 year old. He was eager to learn through the activities and loved the familiarity of characters he knew. I’d definitely buy this magazine again based on the amount of interaction my little boy has had with it, to be honest I’ve been pleasantly surprised! The magazine was released on 23rd October, why not grab a copy now? All reviews are my own and my family’s opinions and we received the magazine in order to write the review. 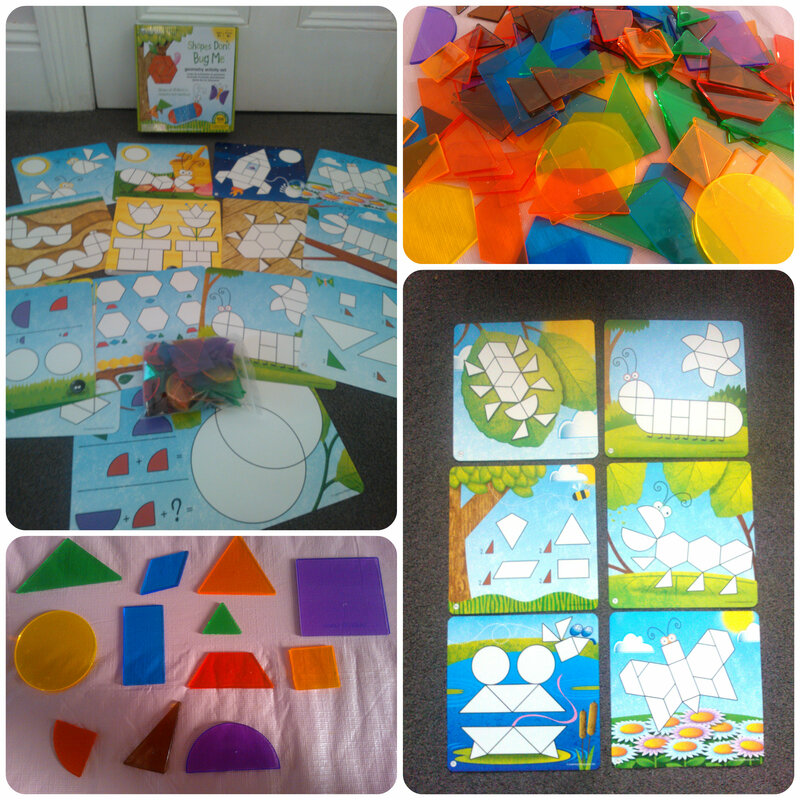 Shapes Don’t Bug Me from Learning Resources is a fabulous little educational activity set aimed at children aged 5-9 although both my children ages 3 and 6 have loved playing with this and had lots of fun learning about shapes and how they fit together. The set comprises of 20 double sided activity cards ranging in difficulty from 1 up to 20. There are also 136 translucent plastic shapes included in 14 different variants including 5 different triangles, 2 different squares, hexagon, trapezoid, rhombus, circle, half circle and quarter circle. They also come in different colours helping to distinguish between the different shapes. 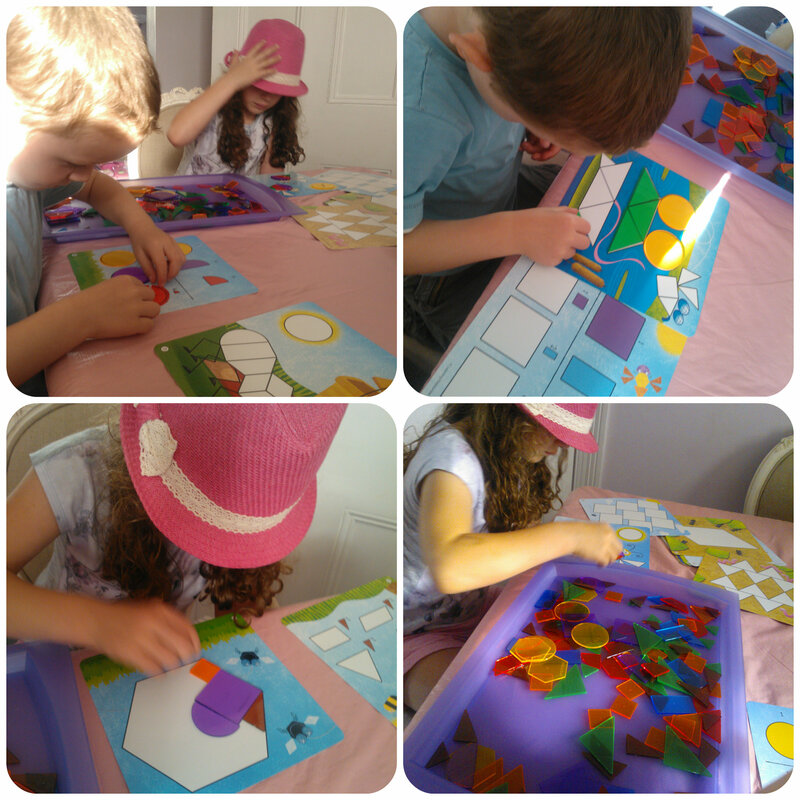 My two children were immediately eager to have a go and grabbed an activity card and got stuck in building the pictures with the shapes. I thought this was brilliant for Mister B, as he loved the easier bug pictures and had such a great sense of achievement when he had finished one. It was also a fun way for him to learn new shapes like a rhombus and trapezium. I was also trying to teach him a semi circle and it was great to do this with two halves and put them together to build a circle. Although initial impressions may seem like this is quite easy, Miss M tackled some of the harder activity cards and they certainly challenged her. 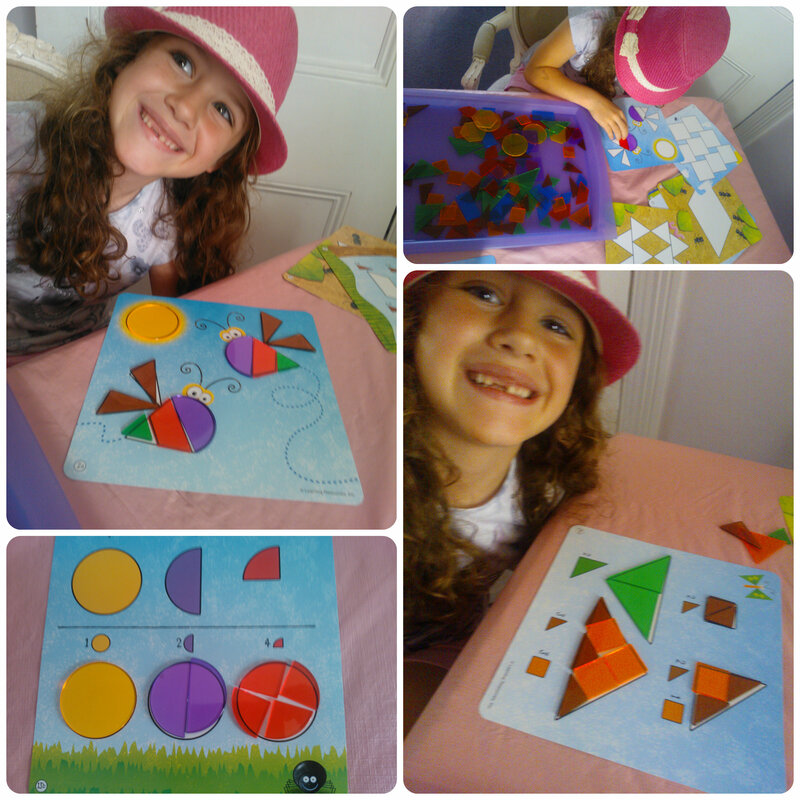 It was great to see her tackling some of the more mathematical ones, using smaller triangles to make larger triangles and again helping her get to grips with the make up of a circle, talking about halves, quarters and how many of each are needed to make a circle. The trickiest cards contained just one large outline of a shape such as a triangle or a rhombus and you had to fill the inside completely with smaller shapes to make the larger one. Miss M had some really good attempts but they weren’t quite sitting accurately on the lines so I set about trying them with her. I have to say it took me a few attempts to fill them so there is definitely plenty of challenge in this set. 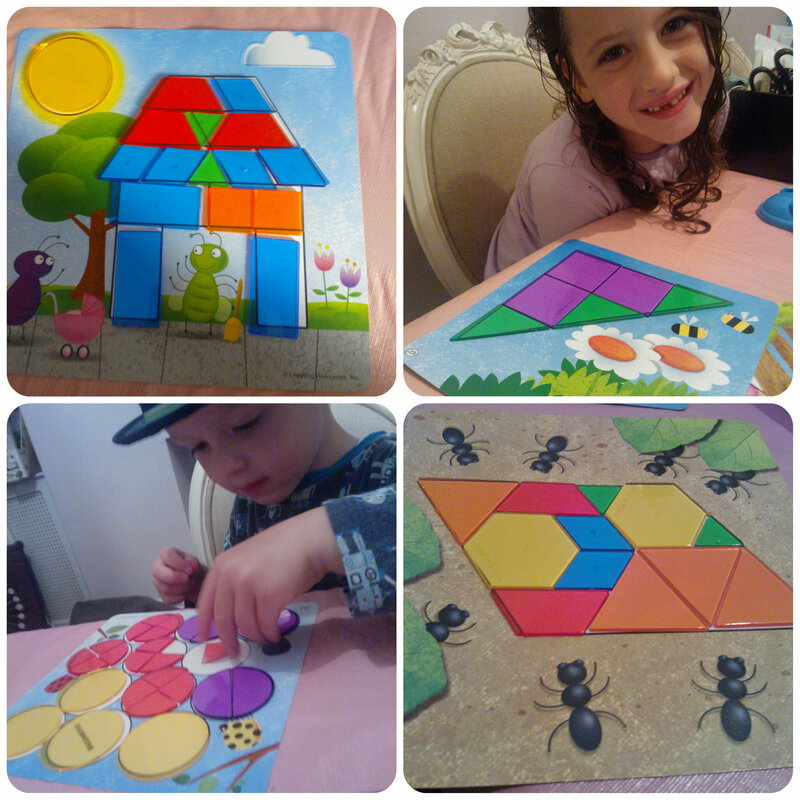 We’ve really enjoyed trying out the Shapes Don’t Bug Me geometry set, it is something that a good age range of children will enjoy and learn from and is bright, colourful and attracts children to sit and play. It’s also trickier than it looks so has plenty of learning potential and I think it’s brilliant that the activity cards are numbered in difficulty levels. All reviews are my own and my family’s opinions and we received the set in order to write the review. Gears! Gears! Gears! is a fabulous range of creative, building sets using tactile gears and cranks to wind the pieces round, creating a magical moving scene. 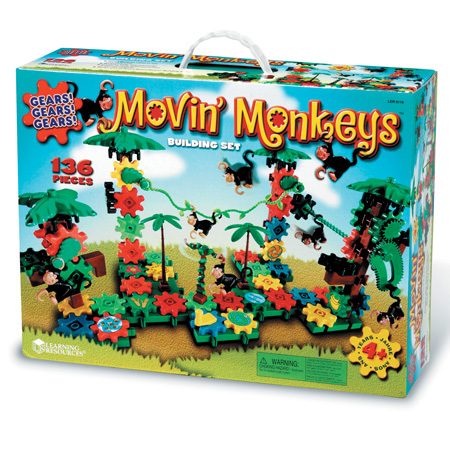 We received the Movin’ Monkeys set from Learning Resources to play with. The Movin’ Monkeys set comprises of 136 pieces which includes base plates, coloured gears, cranks, tree parts, monkeys and a sticker sheet to decorate some of the gears. There is also a very easy to follow instruction booklet which allows you to build the entire scene as shown on the box. The instructions are clear and broken down into manageable sections. Miss M immediately got to work building the first tree and added the gears. 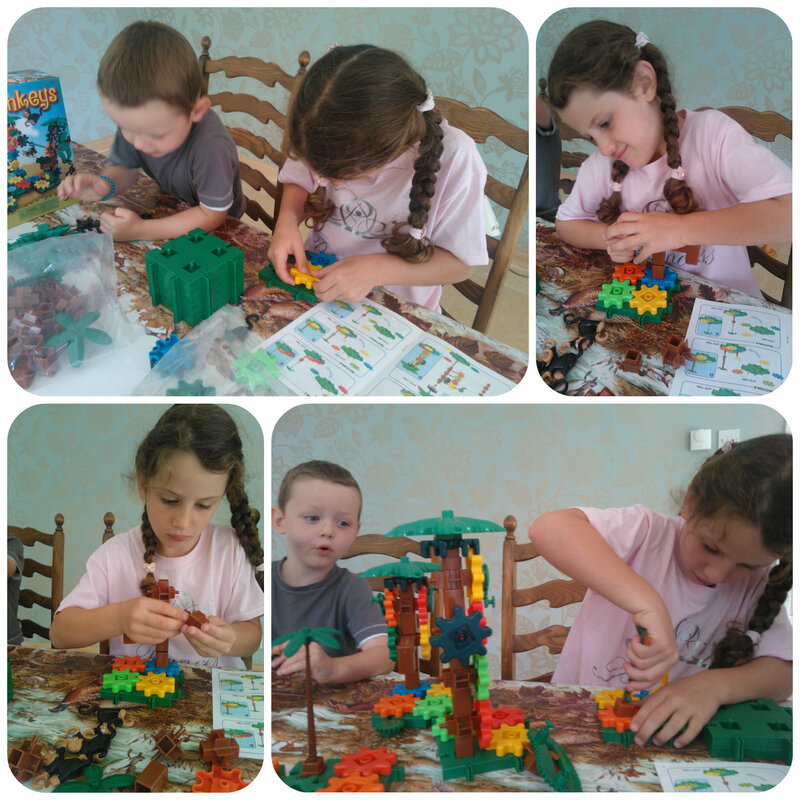 This gave her a little bit of a challenge to follow the build instructions and construct the pieces correctly. To build the whole set is quite a challenge for a young person and although this set is aimed at age 4+, I’d definitely suggest a slightly older age would be better. Miss M is 6 and I feel this is a great construction set for her and something very different to the normal construction toys you see. She did require some guidance and assistance but I’m sure she’ll improve each time she plays. 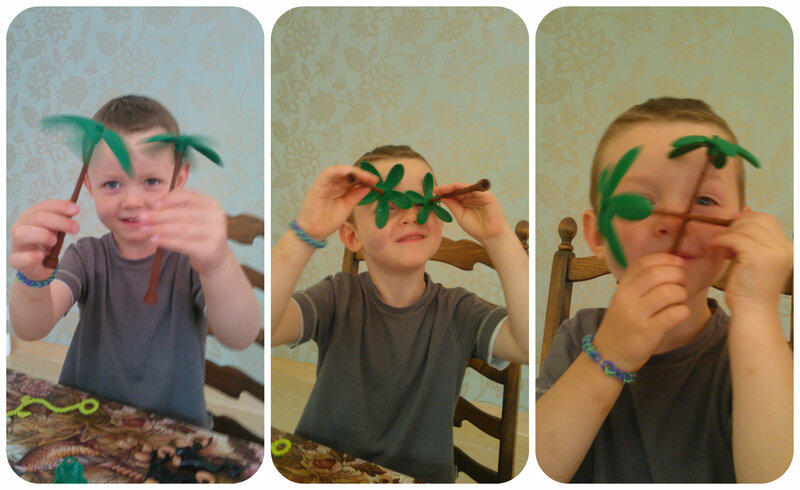 Mister B decided to take it upon himself to build the palm trees. He gathered all the necessary pieces and within a few minutes he proudly showed off his bit of construction work! He was so pleased with his trees and carefully held onto them until the rest was built so he could put them in their correct places. The pieces slot together quite easily although quite firmly so the set is quite durable and doesn’t fall apart easily once built. Once we had constructed the full build, it looked like a brightly coloured jungle scene and both children were eager to see what happened next. The next step was to add the monkeys which can be hung from numerous trees and branches either by the hooks on their hands or tails. Then it was time for the magic – would it work? Miss M slowly turned the handle on one of the gears and very cleverly all the cogs starting turning at the same time, the monkeys starting moving, spinning and swinging around the trees and my two children looked upon their Movin’ Monkeys jungle scene in amazement! Both were keen to take turns in turning the gears and have fun moving the monkeys around to hang from different places, the Movin’ Monkeys construction set certainly gave good play value for a while once it was built. 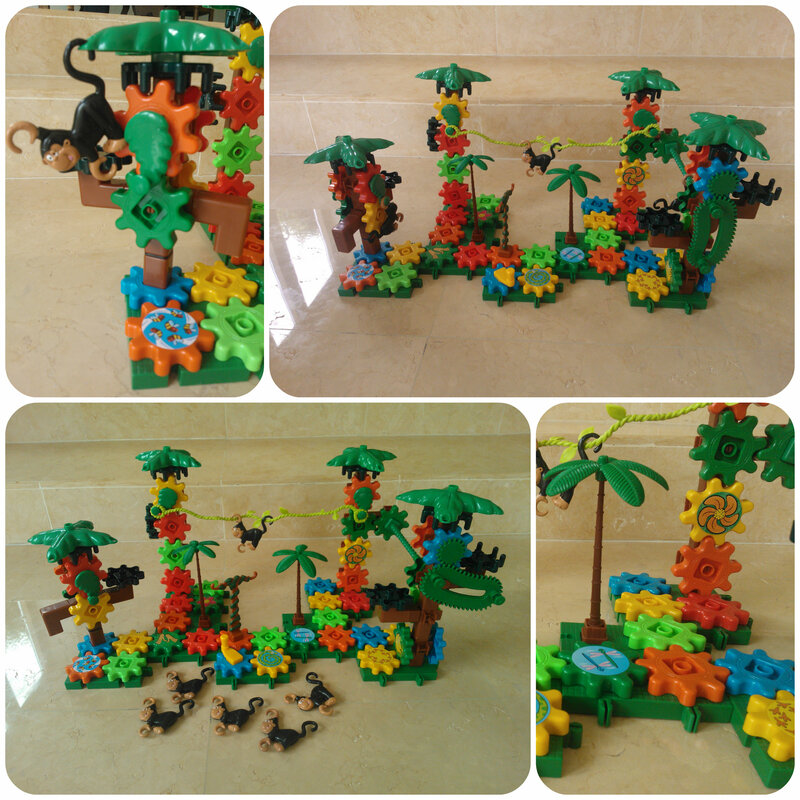 What I like about Movin’ Monkeys is that it is both a construction set and then can be played with as well. You can be creative and build any design you like out of the set, however big or small. On her own Miss M likes to build just a small tree structure that she can get turning and is quite fascinated watching it move. This allows her to be creative independently and as she gets older she’ll become more confident in building bigger jungle scenes. Overall I think Movin’ Monkeys is an interesting, fun construction set that a child aged 6+ would get the most value out of. It’s made from brightly coloured, durable plastic pieces and has lots of fun features for the monkeys to play on. Being a large set with a lot of pieces, this enables you to be versatile with the building and use your imagination to create a different design every time. A great bonus of this set is that it is compatible with any other Gears! Gears! Gears! sets so you can join them up and make a huge moving scene! Why not try a set today and see how creative you can be with moving gears? All reviews are my own and my family’s opinions and Movin’ Monkeys was sent to us in order to write the review. GeoSafari Talking Bug Net from Learning Resources is a great way for children to learn facts and information about bugs, something most children are intrigued by and love to touch and explore. 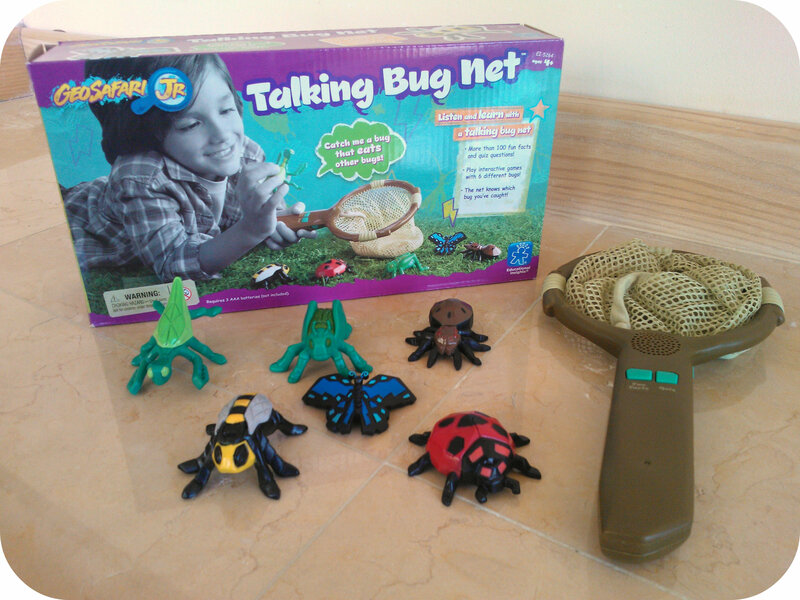 The GeoSafari Talking Bug Net comes with a talking bug net which is well made and a good size, 28 x 14cm. This requires 3 AA batteries. There are two buttons on the handle, one for fun facts and the other for quiz, which tests your knowledge on bugs. There are also six good quality plastic bugs included which the bug net cleverly recognises when placed inside. The net has two ways to play, you can either drop a bug in the net and listen to over 60 included bug facts or take the quiz, which was our preferable option, where we were given a fact about a bug and had to put the correct bug into the net. The net cleverly recognises which bug you place into the net and tells you whether you are right or wrong. You get two chances to get the question correct before it moves onto a new question. 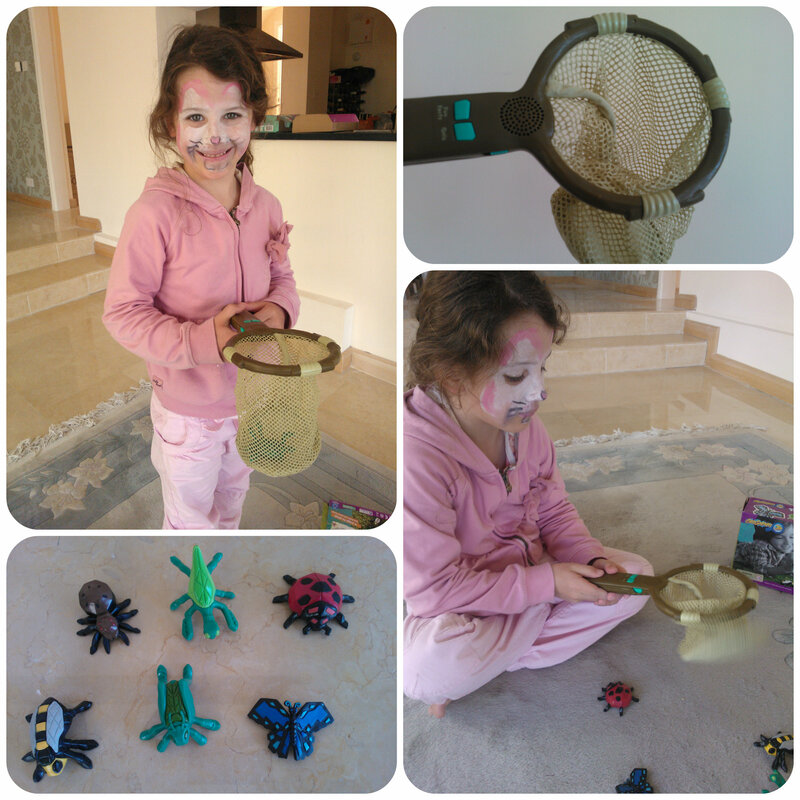 The GeoSafari Talking Bug Net is aimed at ages 4-8 years, perfect for 6 yr old Miss M who was eager to have a go. It was Easter weekend when we gave the bug net a good testing so Miss M comes complete with a little Easter bunny face! Miss M enjoyed playing the quiz on the bug net and was thrilled when she put the right bug in the net. The questions were challenging, I couldn’t answer them all myself, but this became the learning element of the game. We were all learning at the same time and you could see the thinking process in Miss M’s head as she tried to decide which bug fitted the question. When I knew the answer I’d try to prompt her but it was great to see her building on her knowledge as we played. Miss M was unfamiliar with two of the bugs in the set, the grasshopper and the praying mantis so that gave us immediate talking points. The Talking Bug Net is a great way to gain new knowledge, facts and information about bugs, from simple to more advanced facts. If you press the button for fact learning mode, you place a bug in the net and it tells you something about the bug. In the quiz mode the type of questions can be anything from “Which bug has 8 legs?” to “Which bugs hibernate over the winter?”. By listening to some facts first, you can put your new found knowledge to the test with the quiz, a fun and interactive way to learn. 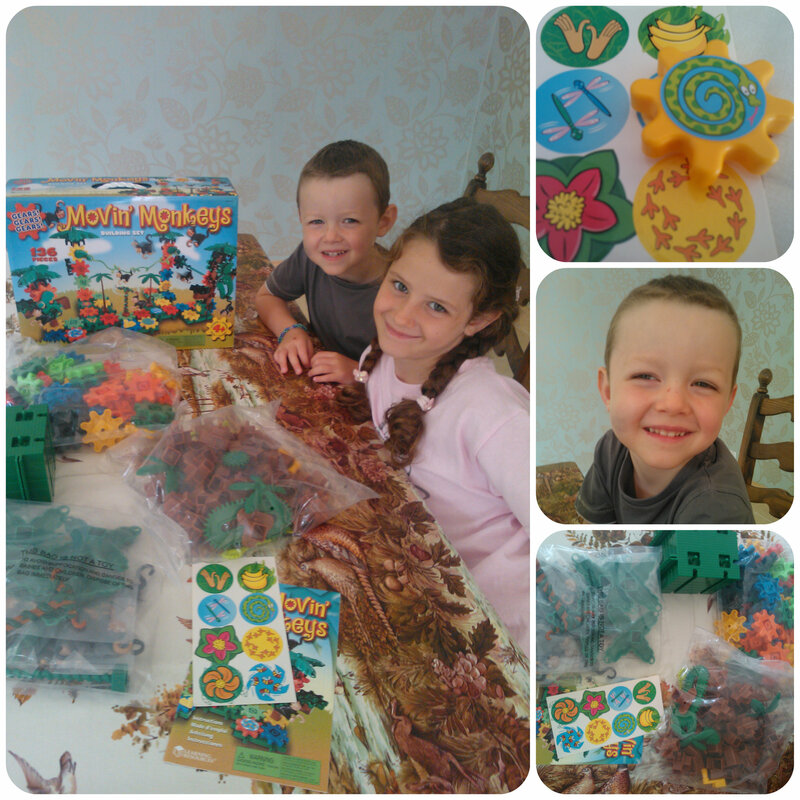 We really enjoyed trying out the GeoSafari Talking Bug Net, a fun educational toy that can be played alone or with others. You can play it for as long or short a time as you want, so it’s a great way to fill any spare time and gain a bit of new knowledge. The only thing we found a little frustrating was that after you had two attempts at the question, it moves onto a new question without informing you of the answer which sometimes left Miss M wondering which bug was correct. Overall this would be a good toy for any avid little bug hunters out there to build up their factual knowledge on these creepy, crawlie creatures. It also helps children to recognise and distinguish the mini beasts through their colours, number of legs and whether it has wings etc. 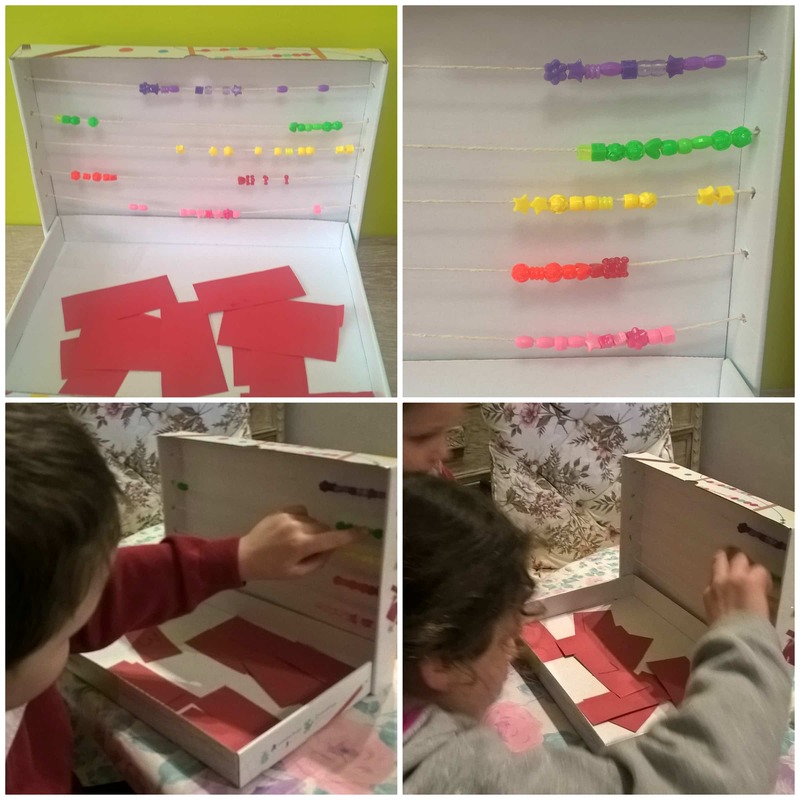 A simple, but fun and interactive way of learning that children enjoy! Why not take a look at the GeoSafari Talking Bug Net over on the Learning Resources website? All reviews are my own and my family’s opinions and we received the bug net in order to write the review.